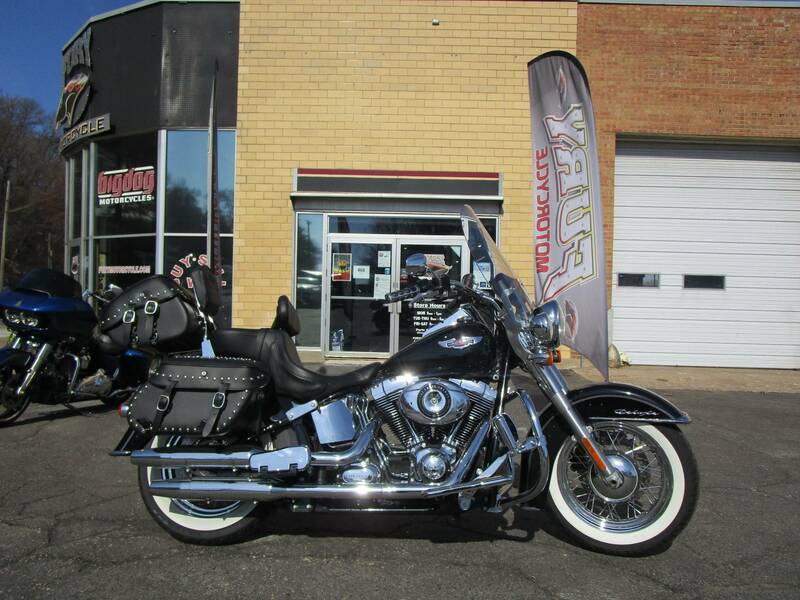 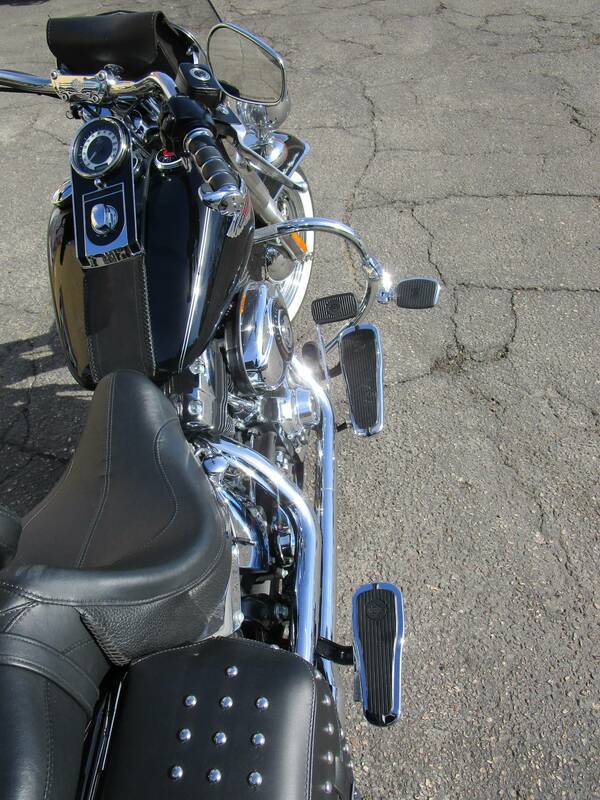 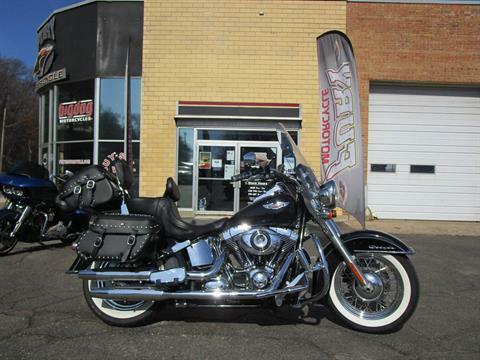 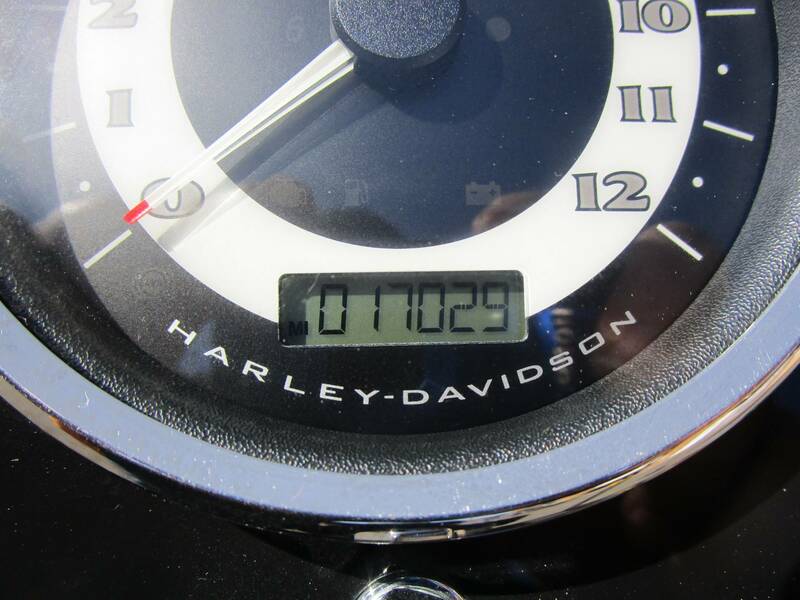 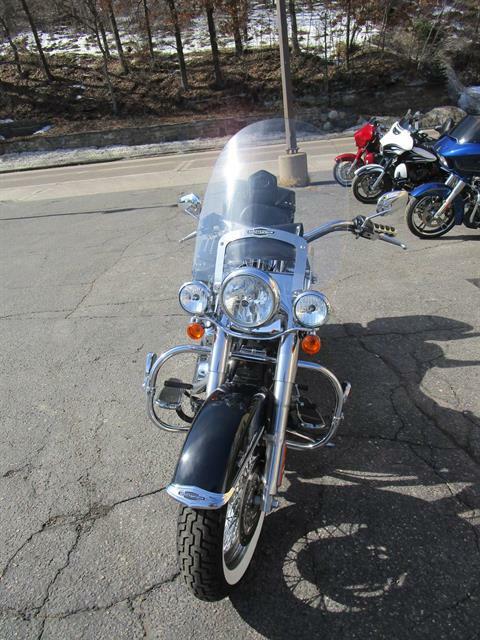 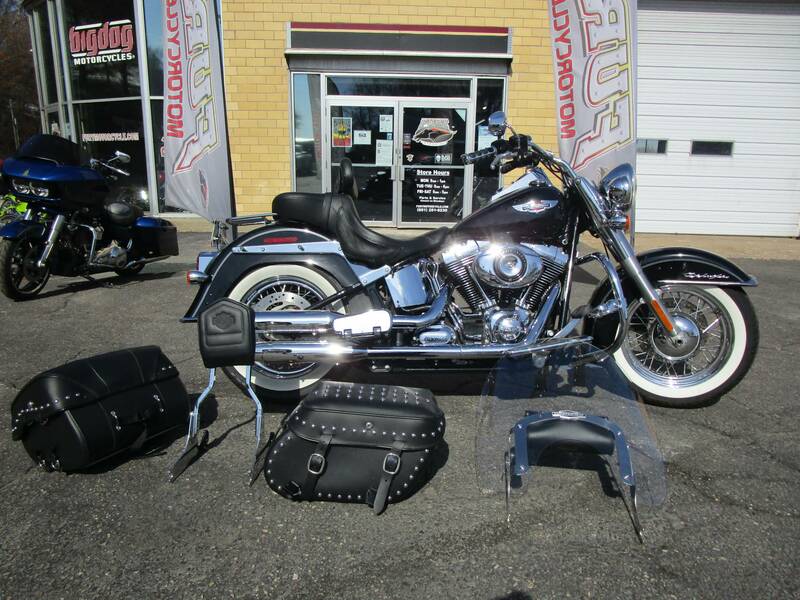 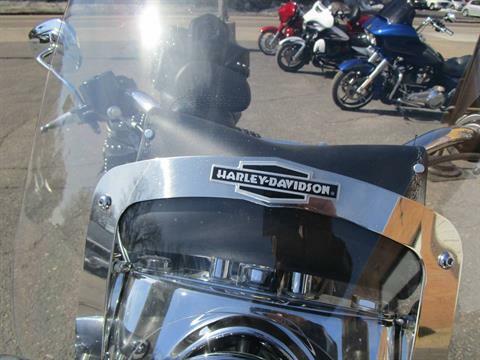 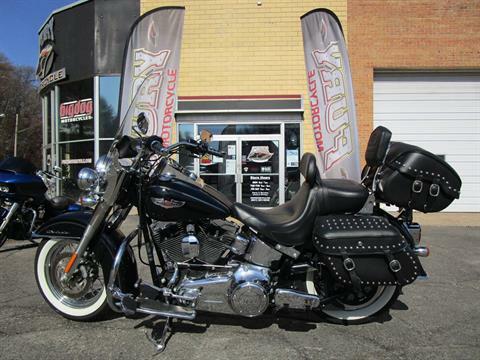 The 2012 Harley-Davidson® Softail® Deluxe FLSTN is a motorcycle cruiser with authentic Harley style. 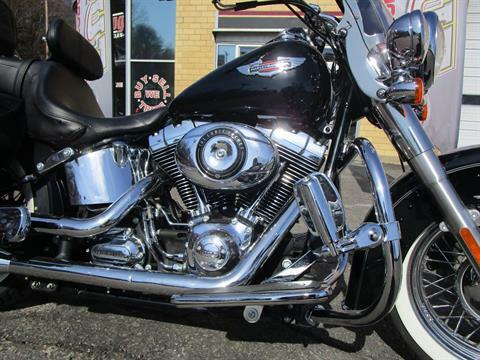 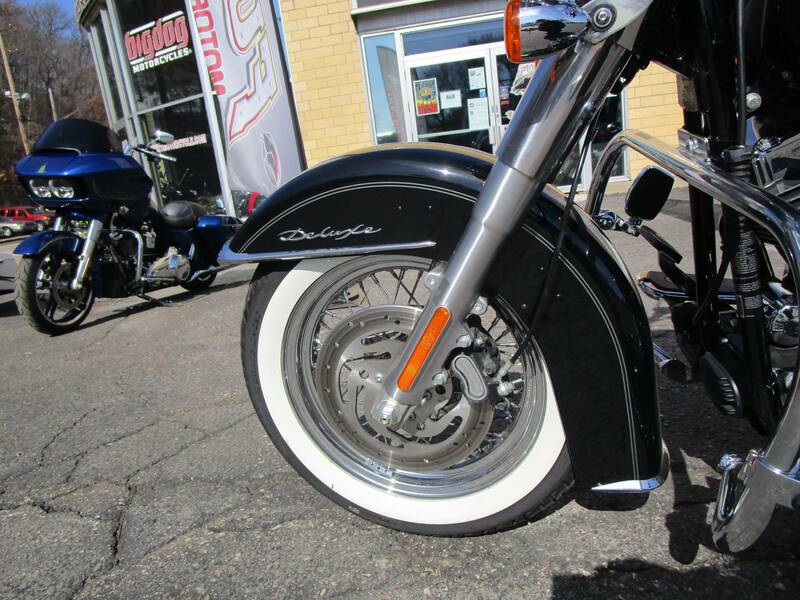 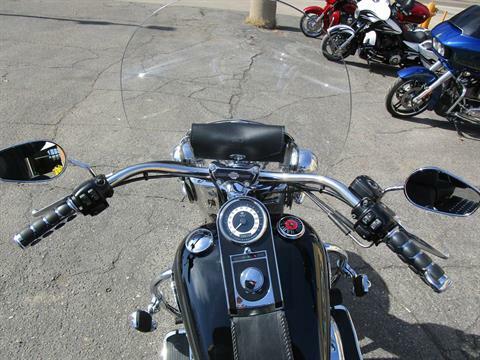 The Harley fenders on the Softail Deluxe are true retro style with their long lines and chrome Harley fender tips. And each fender says Deluxe so everyone will know how you roll. 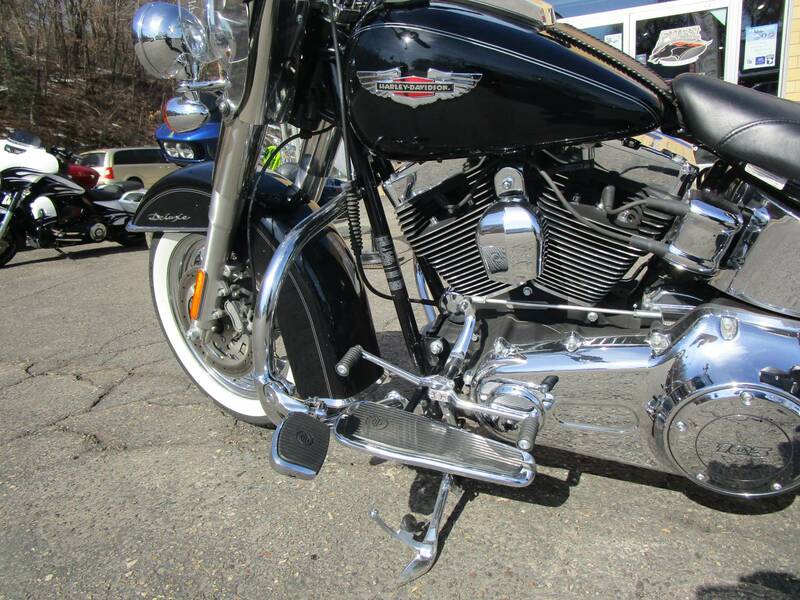 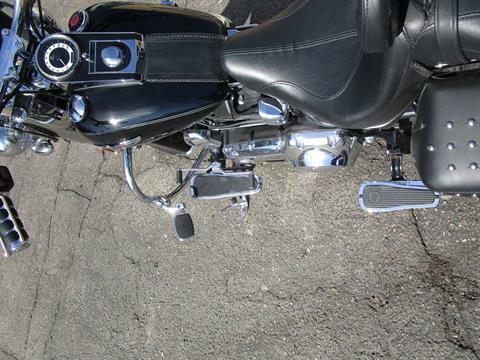 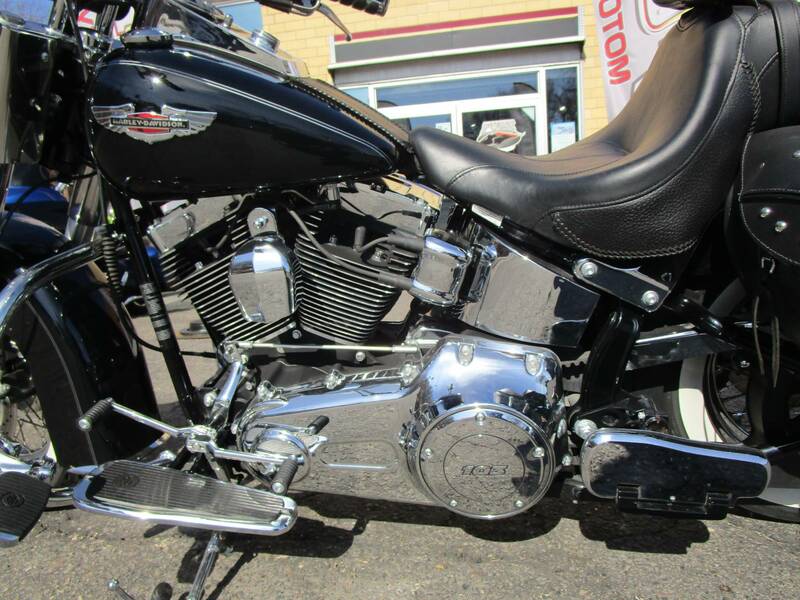 The Harley Softail Deluxe has a wide front end fork and gorgeous 7 in. 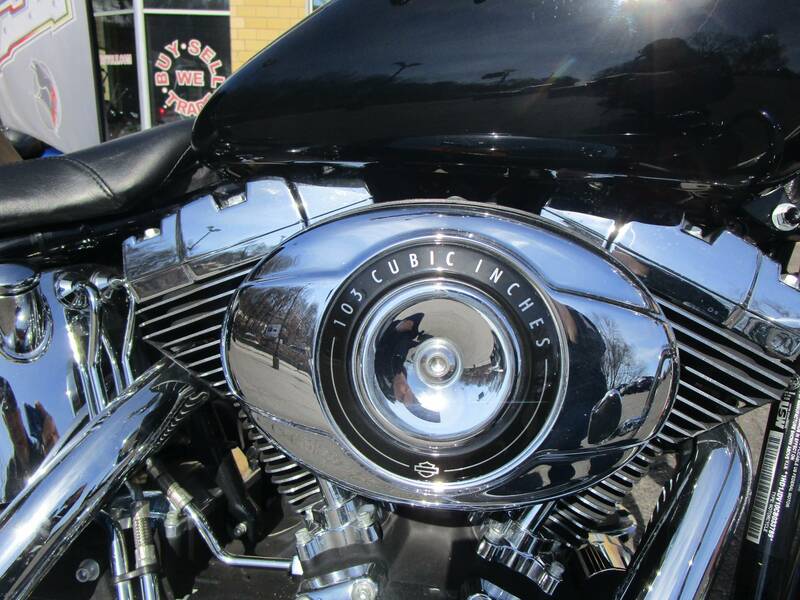 ball motorcycle headlamp. 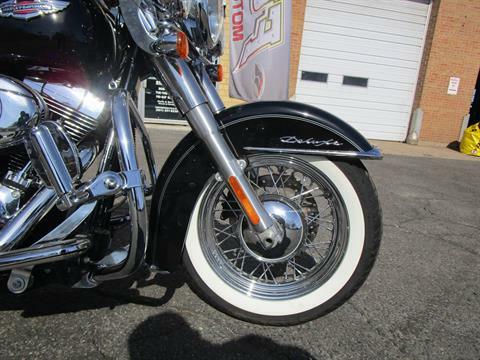 Whitewall tires give this motorcycle cruiser a 1950's boulevard retro motorcycle look. 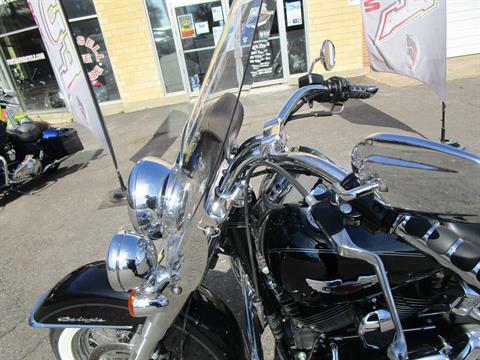 New for 2012, the Harley Softail Deluxe features a powerful, new, larger air-cooled Twin Cam 103™ Harley engine with 6-speed cruise drive transmission, providing more performance power for passing, hill-climbing, and riding with passenger and luggage. 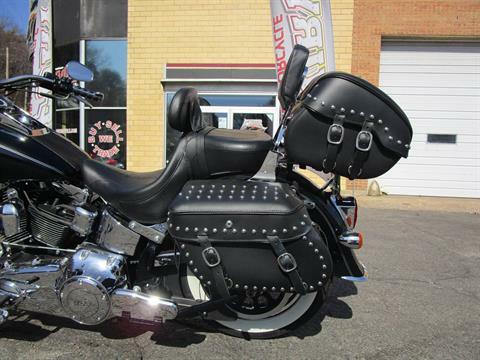 Hit the boulevard in style with this classic 2-up FLSTN Softail Deluxe seat. 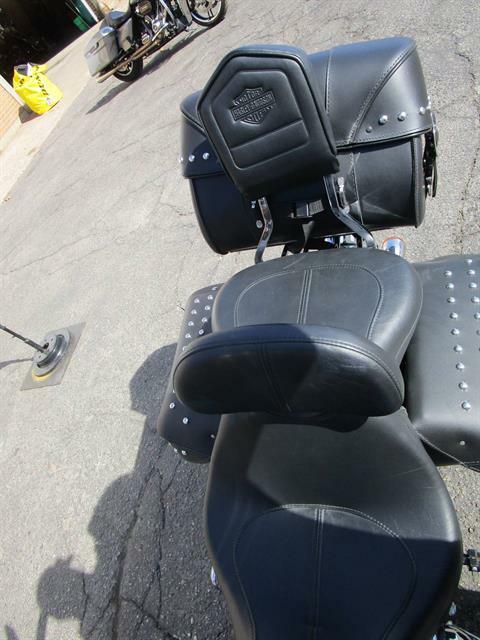 At a lowdown 24.5 in., it's among the lowest seat heights you'll find. And we've added some ergonomics to make riding solo or duo even easier, especially for riders with a shorter inseam. 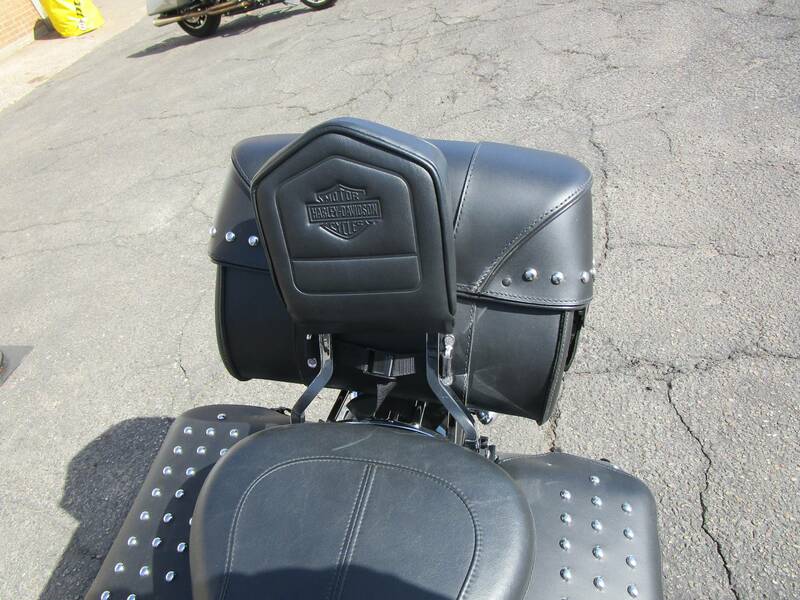 'Collapsing' sides create a narrow seat profile, and the passenger seat pillion is detachable. Learn more about all of the features of the Harley Softail Deluxe. 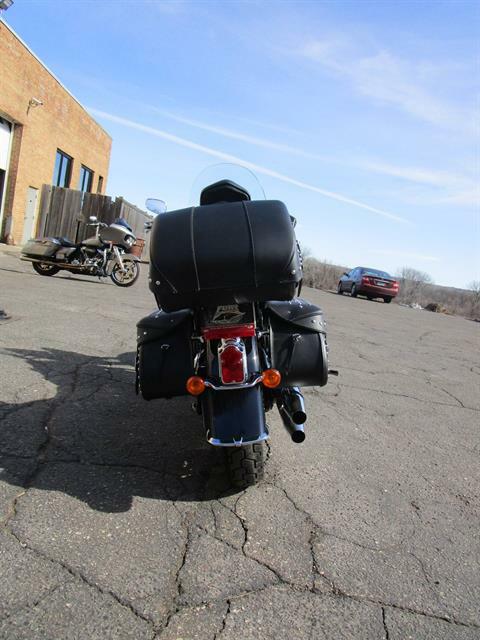 Also take a minute to check each of the other Softail motorcycle features. And take a look at the Fat Boy® Lo and also learn about the Softail® FLSTF, for other custom Harley motorbikes.